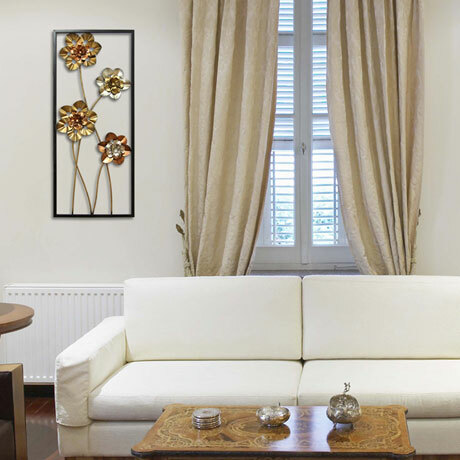 Add dimension to a plain wall in your home with the Flower Panel Wall Décor. 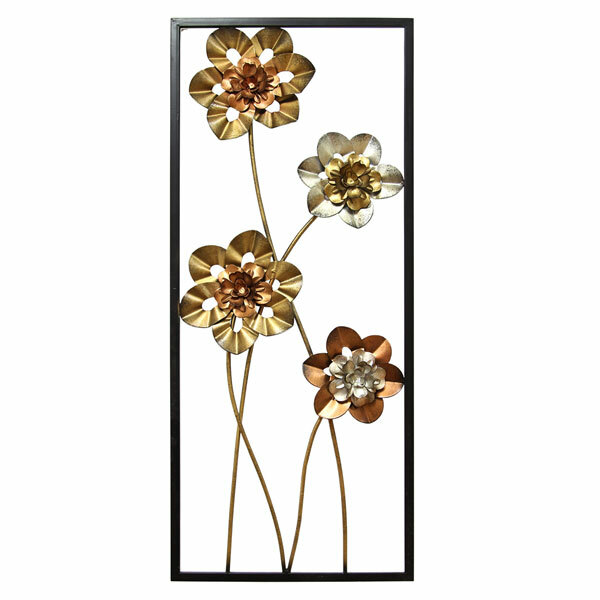 This metal piece has a shiny metallic finish an intricate that is sure to brighten up any room in your house. 13.25" wide x 1.00" deep x 31.75" high. Allow 2 weeks for delivery. No rush delivery or gift box. Item can only be shipped within the Continental US.